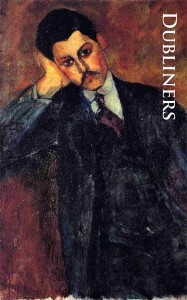 One of the great works of the 20th century, Dubliners has stood the test of time; it is shockingly good. Terse before Hemingway was terse, colloquial before Faulkner was colloquial, Joyce presents fifteen stories that could serve as a master class in short fiction. Every writer should read this book. From the youthful pangs of Araby to the deep emotional pull of The Dead, Dubliners displays a psychological understanding of the human condition that seems at odds with its brash, egotistical young author. Enjoy these stories, part of our series of RiverRun Select Classics. We use high quality paper, and a strong, readable 11-point type to give you the best possible reading experience. Dubliners deserves it!